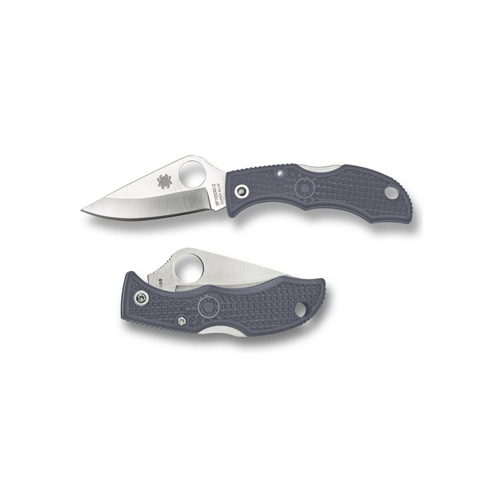 Spyderco's Sprint Run Ladybug 3 is made with Aogami Super Blue steel. Aogami Super Blue is produced exclusively by Hitachi Metals at their plant in the Shimane Prefecture, Japan. They use high quality iron-sand found only in this region to create different grades of steels including white steels and blue steels. The steel itself isn't blue or white in color but the designation refers instead to the color paper the raw steel comes wrapped in when delivered to Hitachi. In Japan its common practice for steels to be named and referred to; based on the color of the packaging the raw steel is delivered in. Super Blue is the highest grade blue steel and contains up to 1.5% carbon for wear resistance and chrome to elevate hardness and improve edge holding and corrosion resistance.